On June 25 and June 27, the Social Justice Expertise Center organized two launch events to celebrate the inaugural publication of the International Labor Rights Case Law journal (ILaRC). ILaRC is a triannual publication that brings together a selection of seminal international decisions on labor law. It draws on the case law of regional and international mechanisms, such as the ILO Committees, the European Court of Human Rights, and the Inter-American Court of Human Rights, and offers commentaries from leading international labor law experts. 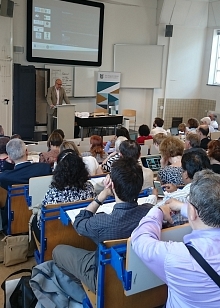 Both launch conferences were moderated by Professor Paul van der Heijden, chair of the Social Justice Expertise Center. The June 25 launch event welcomed over sixty international labor law practitioners to discuss the relevance of fundamental labor rights for the implementation of corporate social responsibility (CSR) norms. 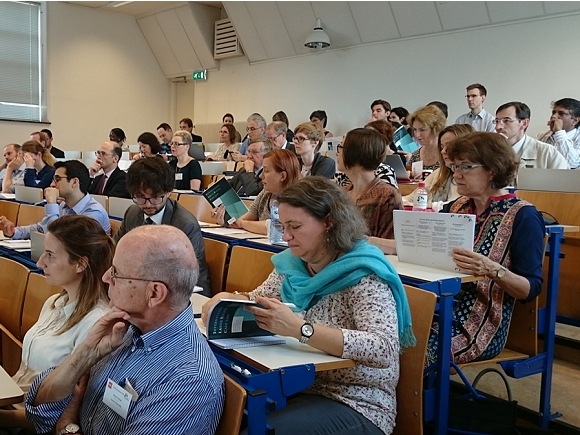 The conference, which was titled Business and International Labor Rights, was hosted by The Hague Institute. Delegates at the conference heard from several speakers, all of whom discussed significant recent developments in law and practice pertaining to the conference theme. First to present was Professor Adelle Blackett (McGill University, Canada) who discussed The Elimination of Discrimination: Recent Intersectional Applications to Migrant Workers and Domestic Workers. Relying primarily on jurisprudential developments in Canada, Professor Blackett discussed how workplace exploitation in the global economy could be understood through a non-discrimination analysis. Her presentation focused primarily on multiple discrimination and intersectionality. In her view, improving the rights of migrant workers is intimately linked to fighting discrimination on grounds of race, gender and social status. There is currently a shift from viewing discrimination as an individualized problem to viewing it as systemic, and based on embedded structures and values. Pointing to several examples of an intersectional approach at both the Canadian and international levels, such asCEDAW’s General Recommendation No. 26 on women migrant workers, Professor Blackett contended that regarding discrimination as intersectional in nature means realising that individuals may suffer from multiple forms of discrimination, which all require legal remedies. Accordingly, in order to achieve justice, it is important to focus on these structural factors so as to arrive at systemic remedies and institutional transformation. The next speaker at the conference was Mr. Arnold Keizer (Allen & Overy LLP) who gave an informative presentation on Freedom of Association and Collective Bargaining: Contemporary Developments on the Right to Strike in the Netherlands. Mr. Keizer discussed jurisprudential developments concerning the right to strike with reference to the European Committee of Social Rights and the Dutch Supreme Court. He particularly focused on a landmark decision by the Dutch Supreme Court –available online in Dutch– issued on June 19 of this year which, in his view, creates a much lower threshold for engaging in lawful industrial actions. The Supreme Court based its ruling on the European Social Charter. After this presentation, Professor Roel Niewenkamp (Organization for Economic Co-operation and Development (OECD)) gave an introduction to the OECD Guidelines Complaints Mechanism. Referencing several cases handled by various OECD National Contact Points (NCPs), Professor Nieuwenkamp explained how OECD complaint mechanisms work, and analysed some of the most influential outcomes of the process. The NCP processes, which include mediation, recommendations and determinations, are focused on reaching a conclusion as to whether or not a company is in violation of provisions in the Guidelines. He noted that the OECD Guidelines for Multinationals, “the grandfather of all CSR standards,” now cover all global value chains. Countries which are formally non-OECD Member States can set-up NCPs to deal with company related conflicts concerning CSR. This broadens significantly the scope of an important soft law instrument – binding for governments– for improving labor and human rights standards worldwide. The OECD Guidelines have been updated to comply with the UN Guiding Principles on Business and Human Rights. Some of the cases he discussed are: Formula One and ADHRB, FIFA and BWI, NUON and FNV Eemshaven and Holcim and CSO consortium. Closing an informative morning was Ms. Miriam Neale (Secretariat of the Bangladesh Accord) who discussed the contributions made by the Accord to improving workers’ safety in Bangladesh in recent years. She spoke about how the Accord engages with buying companies, encouraging them to ensure their factories are upgraded to provide safe working conditions for employees. Signatories to the Accord include over 200 global apparel brands in more than 20 countries across the globe. Since the establishment of the Accord in 2013, over 1500 factories have been inspected and more than 80000 issues relating to workers’ health and safety have been identified. Significant progress has been made on ensuring that factories with critical safety issues are closed down whilst the workers continue to receive their salaries during the period of reconstruction. Additionally, factory workers (whistle-blowers) increasingly resort to the Accord secretariat to inform the latter about health and safety issues in concerned factories. The grievance mechanism within the Accord consists of a complaints mechanism (right to refuse work and Accord investigation) and a dispute resolution mechanism (Charges to Steering Committee and Independent arbitration). The ILaRC scholars’ launch on June 27 welcomed several international labor law scholars from across the globe to discuss the Proliferation of Enforcement Mechanisms Concerning Fundamental Labor Rights: The More, the Better? This event was hosted by the Hugo Sinzheimer Institute and took place during the Labor Law Research Network Conference in Amsterdam. Speakers at the ILaRC scholars’ launch were Professor Klara Boonstra (FNV Trade Union), Professor Brian Langille (University of Toronto), Professor Niklas Bruun (University of Helsinki), Judge Silvana Sciarra (Italian Constitutional Court) and Mr. Lance Compa (Cornell University). All the speakers shared briefly their thoughts concerning the influence of the plurality of labor rights instruments for achieving social justice. There was a general agreement that the proliferation of labor rights enforcement mechanisms is in itself not problematic. However, the speakers shared their concern about the current lack of access to social justice for all workers despite the numerous standards. Hence, it is important that more focus is given to the effectiveness of remedies within these mechanisms. Some speakers referenced the importance of having solid national legal systems in place so as to avoid forum shopping at the international level. Furthermore, there was a call for increasing dialogue between courts at the national and international level so as to avoid conflicting labor rights decisions which result in a proliferation of interpretations of labor provisions and legal uncertainty for stakeholders. The presentations also featured discussions of cases in which public pressure eventually led to enhancing fundamental rights at the workplace. The enhancement of the ILO supervisory mechanisms for achieving higher levels of social justice was also discussed. With numerous questions to all speakers and animated discussions during both events, the ILaRC conference generated many innovative and valuable ideas pertaining to fundamental labor rights at the workplace. Interested labor law researchers and practitioners can sign up for a free subscription to ILaRC until December 2016. The Social Justice Expertise Center is a collaboration between The Hague Institute and Leiden University.